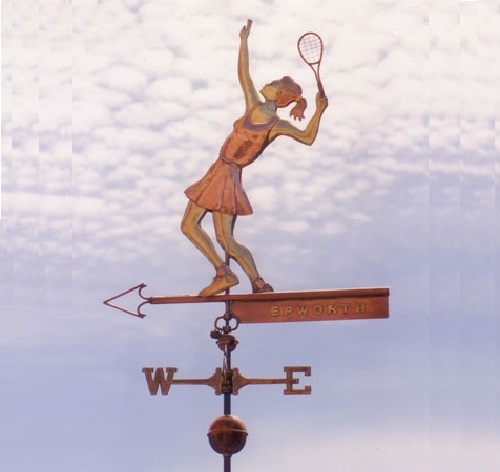 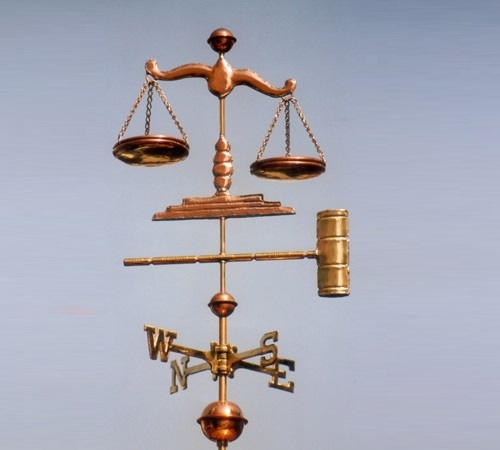 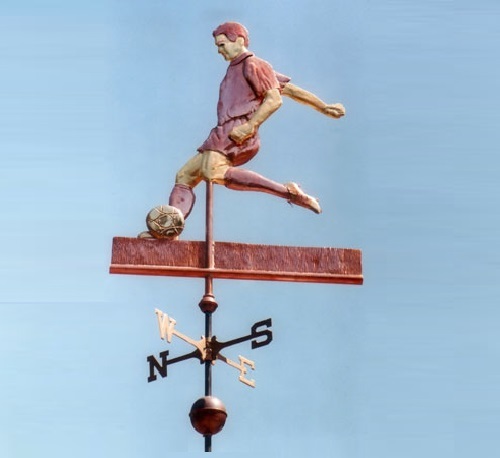 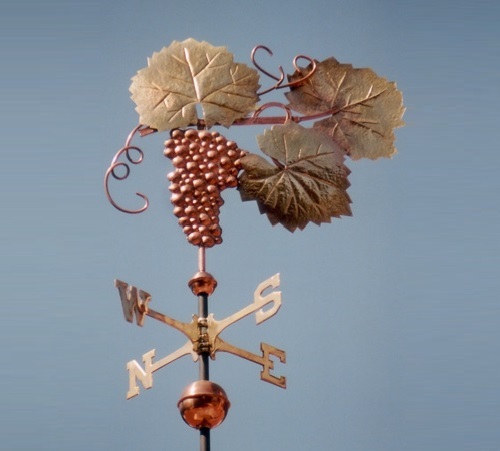 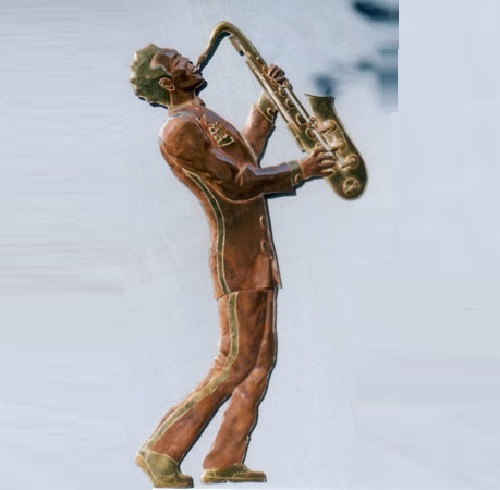 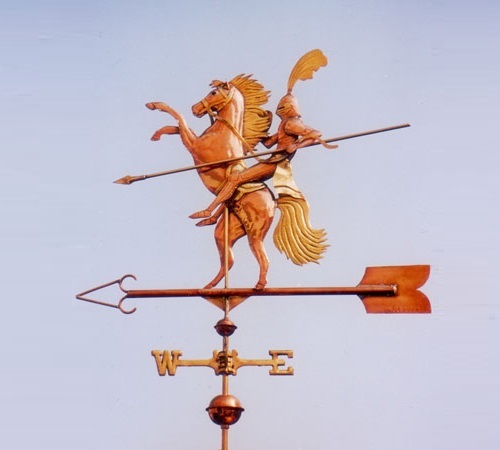 For The West Coast Weather Vane art studio from California weather vane is not just an instrument for showing the direction of the wind, it is a real art. 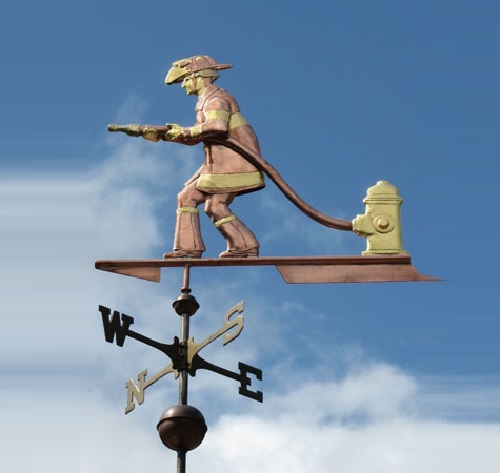 Each handmade copper weather vane has an interesting story or a myth behind it. 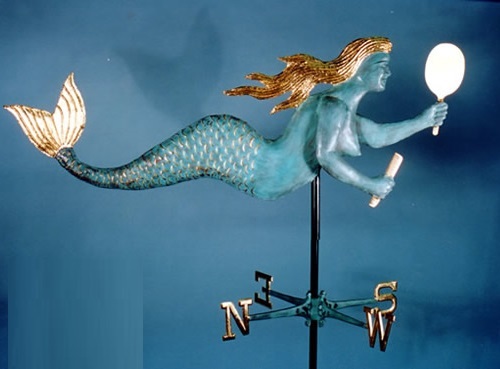 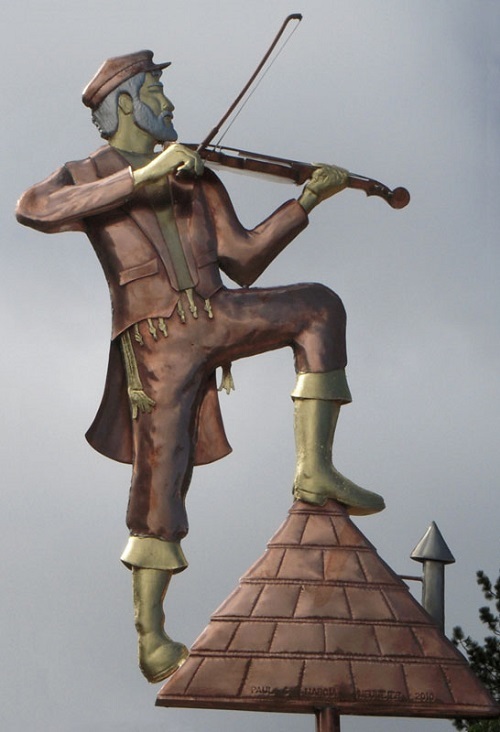 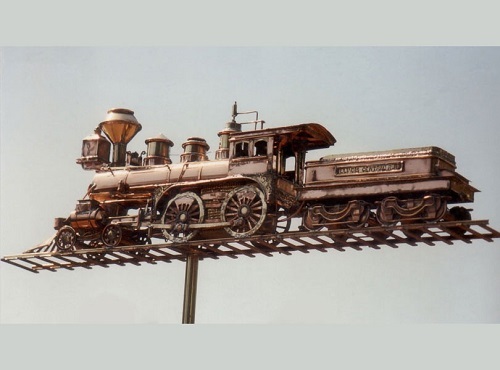 The portfolio of The West Coast Weather Vanes team og artists consists of more than 600 unique, one of a kind an architectural ornaments ranging from aquatic to animal, human, and mythological and many more creative designs. 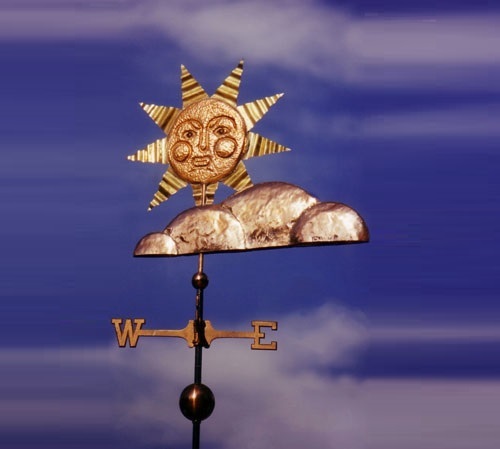 The story of Weather Vanes studio began in the autumn of 1988 when a just married couple LizAnne and Ken Jensen went on their honeymoon to New England. 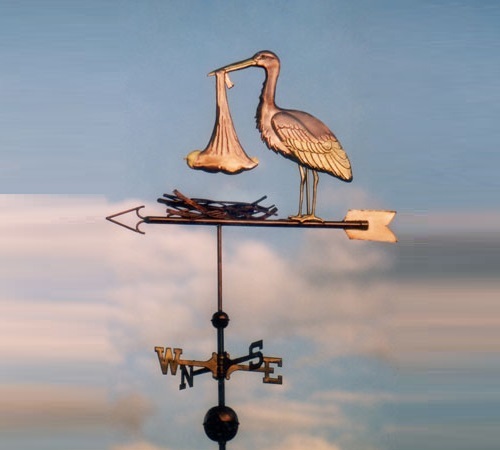 While admiring the beautiful scenery, they spotted a shop selling copper weather vanes. 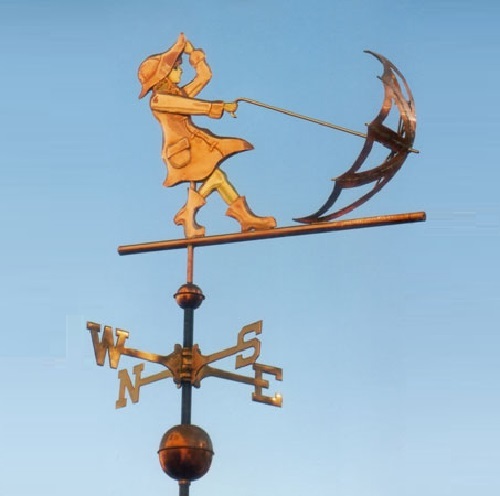 The creative duo has recently celebrated 25 years of weather vane making and what is not less important “love what we do even more today than we did the day we started” (LizAnne & Ken Jensen). 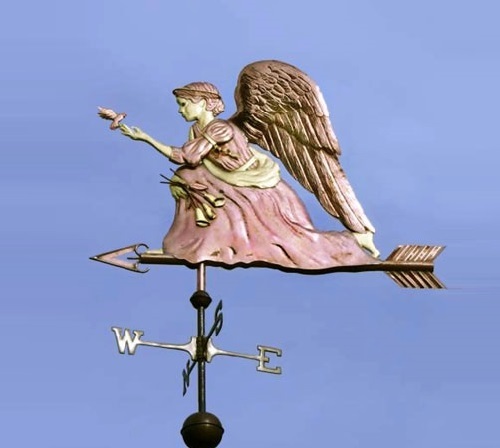 This Kneeling Angel Weather Vane – a gentle protector who watches creatures great and small. 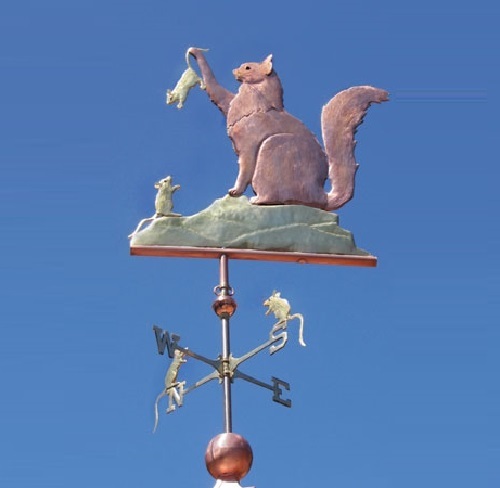 Here, in the spirit of St. Francis, she befriends a small bird. 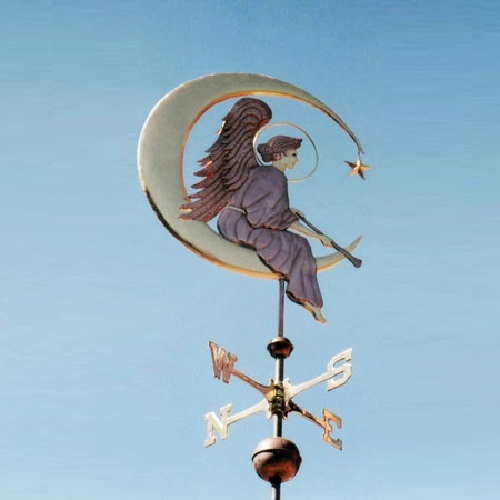 The original inspiration for this design is Leonardo da Vinci’s famous painting titled ‘The Annunciation’. 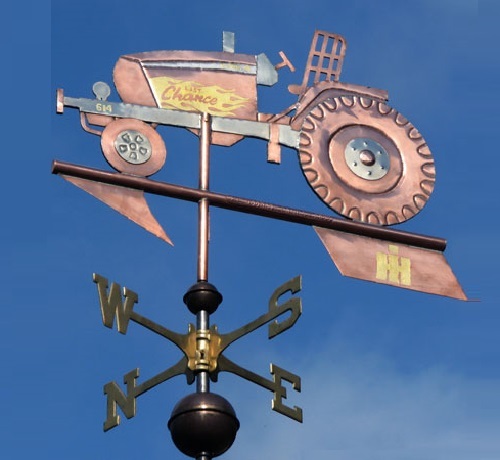 The word ‘vane’ comes from the Old English word fana meaning ‘flag’. 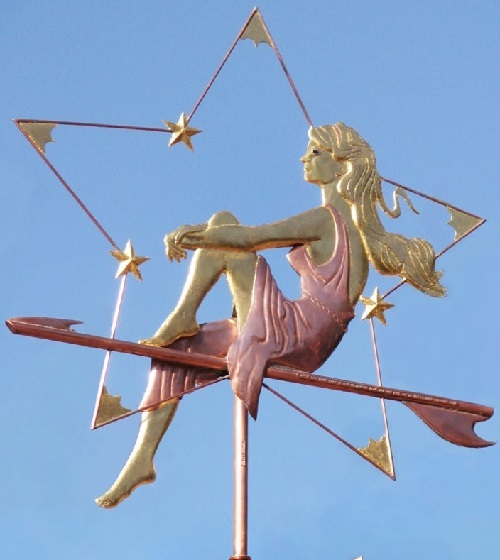 Vane has long been popular, especially in the port cities. 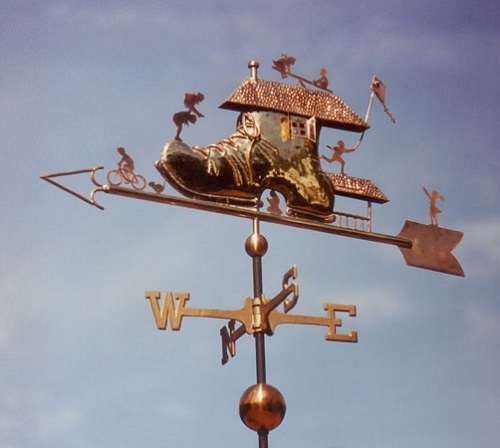 Performing its main task was possible to determine whether the ships will drop into the harbor. 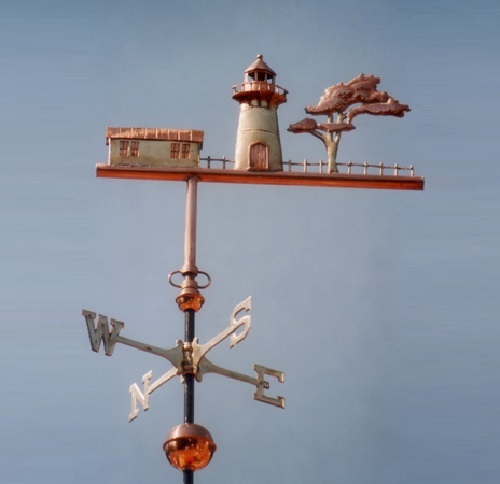 Thus, an indication of the wind direction towards the city foreshadowed many merchant ships in the harbor with a variety of goods and food.